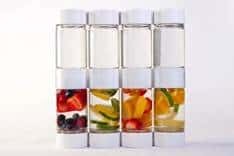 Fitness and health aficionados will delight in the new Define Bottle. Created by a 13 year old, this sustainably crafted, BPA-free plastic and bamboo 20-ounce bottle has a strainer separated compartment at the bottom for fresh fruit. The freezable base piece and lanyard assures a cooler, portable, fruit infused drink all day long. The possibilities are endless from fresh fruit and teas to herbs, the choice is up to you. This reusable define bottle will help reduce the amount of plastic thrown away into landfills every year. BPA-free, Phosphate-free, estrogenic-activity-free androgenic-activity-free AND it dissembles for easy cleaning. With a price-point under $30, you can buy one for everyone on your list to add into their stocking and yours too. Learn more at www.definebottle.com. 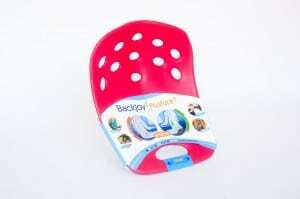 Here’s what makes BackJoy® Posture+ a good gift for the tech lover or someone who is a health/fitness buff. Eighty percent of us will suffer from back pain at some point in our lives. And around the holidays as a result of stress, and when we’re sitting a lot, at work in front of a computer or TV, or while traveling (think of long car rides or hours on a plane) back pain can worsen. The good news is that the majority of back pain can be prevented with good posture[i] and the Posture+ is an innovative alternative to help fight back pain. BackJoy Posture+ automatically tilts, cups and floats the pelvis upright to help you find your most balanced and comfortable posture, while engaging core muscles to help you sit correctly. The Posture+ alleviates back pain naturally (no pain meds required) to help people avoid life-limiting back problems and back pain caused by sitting for long periods of time. It’s durable, comfortable and can be used on a hard or soft office chair, in the car or on a plane. The BackJoy Posture+ retails for $39.99, comes in a variety of colorful styles (pictured below), and can be found at major retailers nationwide. Runners, joggers and travelers need a convenient place to store their essentials while exercising, site seeing or doing any active adventure, but it was always hard to find a comfortable and functional solution. Not anymore. With the Armpocket, the ultimate armband, you can comfortably and confidently carry your essentials, including mobile phone, case, keys, credit cards, ID and money. Multiple compartments inside the Armpocket guard your valuables and a low-profile audio port lets you easily connect your headphones. The Armpocket is great for not only traveling and exercising, but shopping and going to school — anytime you need a dry, secure and comfortable carrying solution. 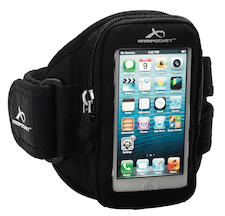 It is water and sweat resistant, doesn’t slip and offers a comfortable vented strap with memory foam. Retails for $29.95 to $49.95. For more information, visit www.armpocket.com. The one tool for a total body workout! 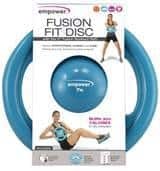 The Fusion Fit Disc provides an invigorating muscle conditioning, cardio, and core workout with one compact tool. This boredom-busting routine features intense 45-second intervals that fuse toning, cardio, and core training to burn tons of calories! The Flex Links stretch and strength ladder is a compact and portable tool that lets you start in your comfort zone and continues to challenge you as you get stronger. Get from five to 25 pounds of resistance by simply moving the placement of your hands on the ladder. 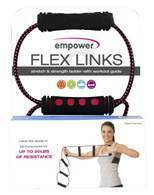 Flex Links, complete strength and stretch workout guide helps you tone upper body and core as well as improve your range of motion and flexibility. 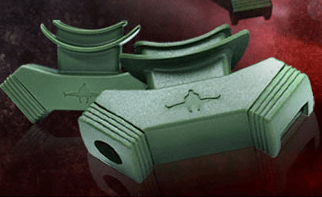 Comprised of a high-grade polymer mouthpiece with two end caps, the O2 Trainer, created by World MMA Champion Bas Rutten, is fitted with a series of 10 workout-level end caps with gradually smaller holes that restrict air flow during inhalation breathing while working out. Four extra “resting-level end caps” also can be used for breathing exercises while at rest. The other side of the mouthpiece is unrestricted for expiration (breathing out). Engineered to increase inhalation muscle endurance, the O2 Trainer was designed for anyone wanting to boost endurance and performance. Runners, fitness enthusiasts, swimmers, rock climbers, scuba divers, horn players, fire fighters, singers and even yoga practitioners can attest to the impact the O2 Trainer has on building bigger, stronger lungs faster for the body to perform at “more intense” workout levels with less oxygen. Learn more at the Polar website and on PolarLoop.com. 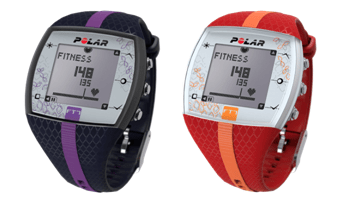 For those who want to know if they’re improving their fitness or burning fat, check out the Polar FT7 Blue / Lilac or Red / Orange. The EnergyPointer tells you if the main effect of your training is fitness improvement or fat burning. It displays calories burned and also comes with comfortable fabric transmitter and coded heart rate transmission to avoid cross-talk. Swiftwick socks are all made in the U.S. using the latest in performance compression and moisture-wicking technology. Tried and tested by the world’s top athletes, Swiftwick socks work as hard as you do. The only sock on the market created from post-industrial recycled nylon, the SUSTAIN sock line ($12-$17 depending on height) showcases Swiftwick’s commitment to the planet and the earth-conscious athlete in us all. No chemicals are used to wick away moisture, yet the Sustain still offers great compression and moisture-wicking capabilities. Another gift option is the PURSUIT socks, which are great for colder weather. 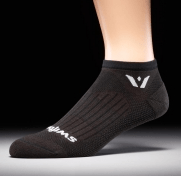 Constructed from Merino Wool from Australia, the PURSUIT sock line ($16-$35 depending on height) offers natural moisture-wicking and compression capabilities and is the only 200-needle compression wool sock on the market. With a slightly padded footbed, this is a great sock for people who enjoy extra comfort! Swiftwicks are available online or in local specialty retailers across the U.S. The Zumba wear Fall/Winter 2013-14 collection combines style, self expression and customization. With themes of slashology, connecting-the-dots, cut & paste and techno re-do, customers are inspired to make every piece of apparel uniquely their own while incorporating key trends of the season, like slashing, slouchy pants and dance-inspired silhouettes. The Zumba wear collection is brought to life both in Zumba classes and on the street, incorporating performance elements with lifestyle and urban silhouettes. Princes range from $10-$70 and include bra tops, leggings, cargo pants, tanks and tees, hoodies and accessories. Available on www.zumba.com/shop.